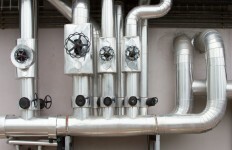 RealKM Connect workshops, commencing in Melbourne, will provide hands-on professional development. A seminar on Friday 25 November will demonstrate the evidence-based approach we will be taking. I am proud to announce the next evolution of RealKM with the launch of RealKM Connect, a strategic knowledge management forum commencing in Melbourne in 2017. Our RealKM Connect workshops will provide hands-on professional development for people who want to take their KM skills to the next level. Attendees can expect to learn practical ways to assess situations and implement effective KM solutions in an open and respectful peer environment. Each workshop will include information on the scientific theories and evidence behind each topic covered, as well as challenges to help participants put what they learn into practice when they return to their organisation. RealKM Connect members will receive free access to bi-monthly workshops and a library of member-only resources. Our experienced facilitator, Amanda Surrey, will promote discussion among participants online and offline to encourage ongoing learning and reflection. 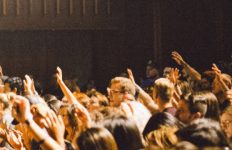 People are also welcome to join us for individual workshops through the RealKM Connect Events page. When we founded RealKM Magazine a year ago, we wanted to encourage people to fundamentally rethink their approach to Knowledge Management. There are so many aspects to understanding how systems work and it is critical that practitioners have the best evidence to support why, when, and how Knowledge Management initiatives should be undertaken. 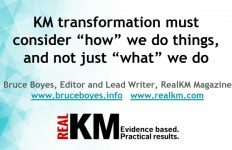 RealKM Connect’s ongoing program exploring all aspects of Knowledge Management empowers busy professionals to be more effective in achieving real, sustainable organisational change. If you work in knowledge and information management, content strategy, librarianship, or case management — indeed, if you work in any job where knowledge is a critical part of getting better results in your organisation — we would love you to join us at RealKM Connect. 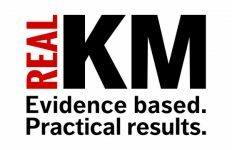 A RealKM Connect seminar is being held in Melbourne on Friday 25 November to demonstrate the evidence-based approach we will be taking. RealKM readers can get a 20% discount to the seminar by quoting the code CONNECT16 when buying tickets.